Usually 3-5 Working days after artwork approval. Get the right bottles at the right prices - delivered Australia-wide. 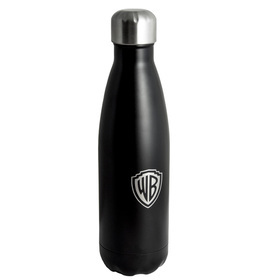 Just click on the images for costs of water bottles including logos or message. Remember! : we will not be beaten on price. Water Bottles have been a popular item to promote with for many years. 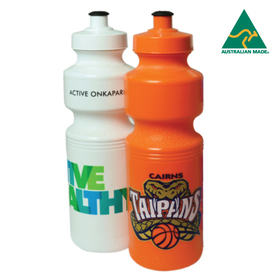 Promotion Products has been organising the decoration of Sports Water Bottles for companies, sports clubs and charities for many years. 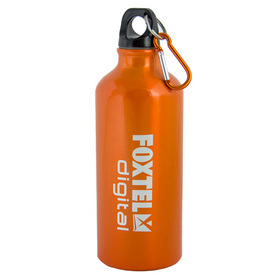 Our most popular Branded Water Bottle is the Freeman Drink Bottle (which is Australian made), with other popular choices such as the Budget Drink Bottle and the Cyclone! 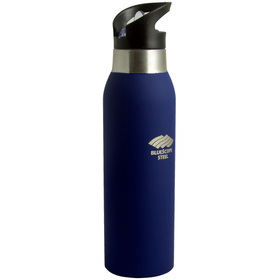 Water Bottle Value: To see pricing of our BPA free Water Bottles simply click on the images below to see prices and further product information. At Promotion Products we select only the best quality Promotional Items. Also, we monitor our competitors pricing so if you see the same, or similar, Sports Bottles at a lower cost we want to know about it - we will bend over backwards to beat any competitors pricing on Bottles with logo. Furthermore, the costs you see include set up costs (see below). Sports Bottles: No set up cost here! When you click on the images above you will see costs that include set up costs. Most of our competitors give you a unit price without set up included. This set up fee can range from $60+GST/colour to $120+GST/colour. 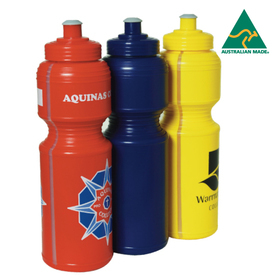 We believe in giving our clients the best value in Australia so include set up costs in all Branded Water Bottle costs that you see. We pride ourselves on low costs, great quality products and outstanding customer service. If you require help in choosing your Bottles you can either email us or call us at anytime - we are here to help with your enquiry. Mankind has been drinking water since the beginning of time making it by far and away one of the most popular beverages ever. Of course man has always required a way to transport water to the point of consumption. As man evolved he started developing drinking vessels and ways of transporting water - from water bags fashioned out of animal hides to clay pots and from aqua ducts to water carts, wherever man went water went to too! Fast forward to today and water's popularity remains undiminished and so therefore, as man has evolved so have the ways in which he transports his favourite drink. Long gone are clay pots full of putrid pond scum, we now have ingenious water bottles that can actually filtrate the water also - see our range above or read more about it here: Water Bottles. So there you have it! Water bottles and indeed water itself is unlikely to go out of fashion anytime soon (being somewhat essential alongside food and air) so there has never been a better time to transform the humble bottle into a Branded Promotional Water Bottle featuring your logo and message for a longer lasting promotion.